We are on snow watch here in Portland. We went to the grocery store to stock up on supplies in case we get snowed in, and it was like Armageddon was upon us. People were pushing and shoving and loading their carts with lots and lots of alcohol. I have to admit that it was difficult not to load my cart with chips and bags of cookies but I stood my ground and loaded us up with lots of fresh vegetables, frozen fruit, and nuts to keep us going for a few days. 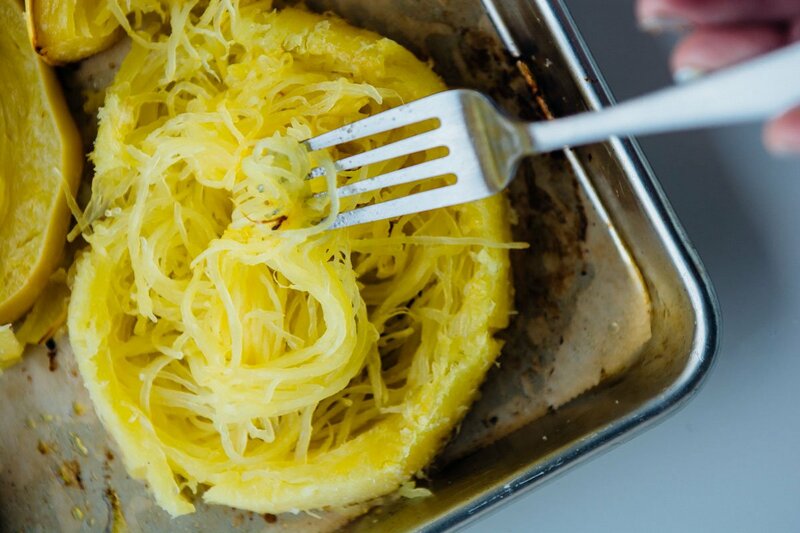 Sorry that the post is a bit late today, I spent way too much time trying to put together a little video today illustrating my quicker roasted spaghetti squash! 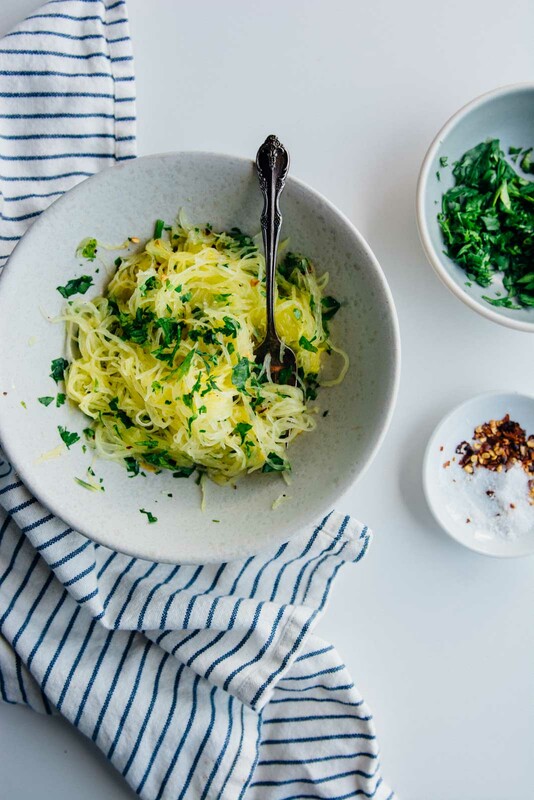 Since it looks like I’ve got lots of time on my hands, I decided to prep ingredients for the week that we can mix and match and the first thing I decided to cook was some roasted spaghetti squash. I love the flavor, but it can get a bit watery if not prepared correctly. 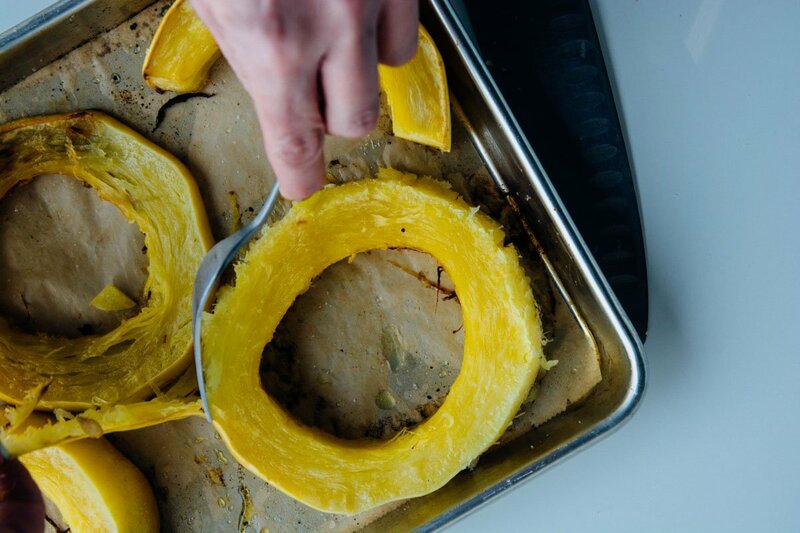 Traditionally you cut the squash in half lengthwise and roast it cut side down for an hour. 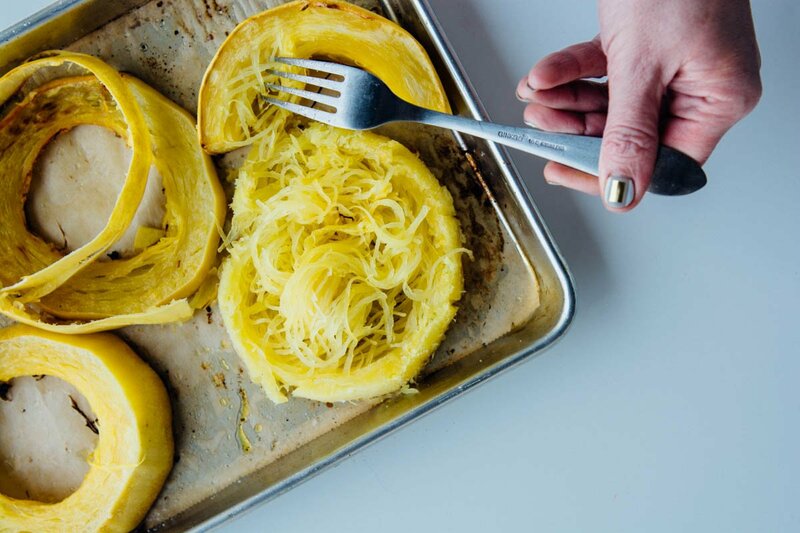 I find this has a tendency to result in mushy squash that doesn’t get that sweetness and caramelization you want. I prefer to cut the squash into rounds, brush them lightly with olive oil and season with salt and pepper and roast for about 25-30 minutes. 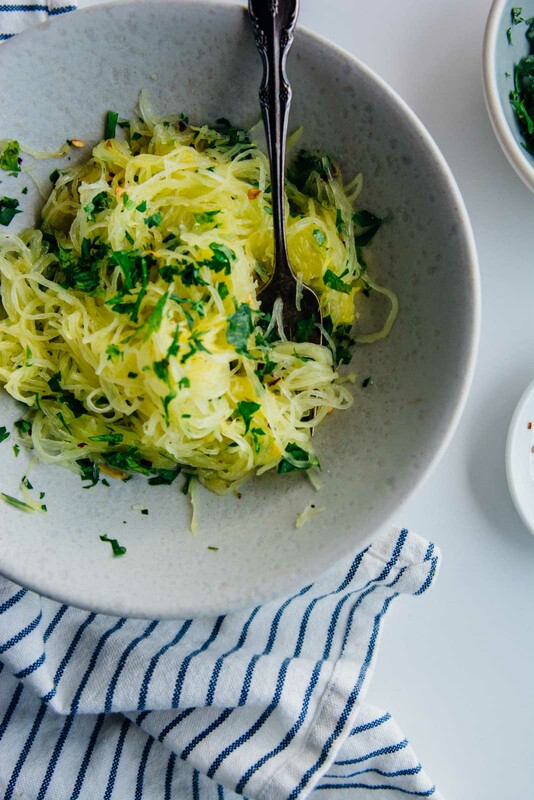 The flavor is deeper and more intensified, and it makes lovely long strands of squash that make a perfect substitute for pasta. 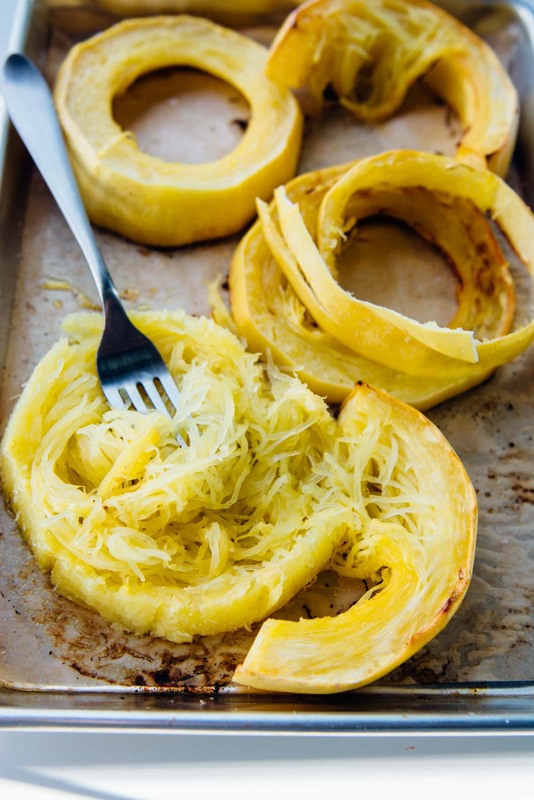 Slicing the squash into rings makes for a more intense flavor, quicker roasting time and long delicate strands of squash pasta! Using a sharp knife, trim the ends off the squash. 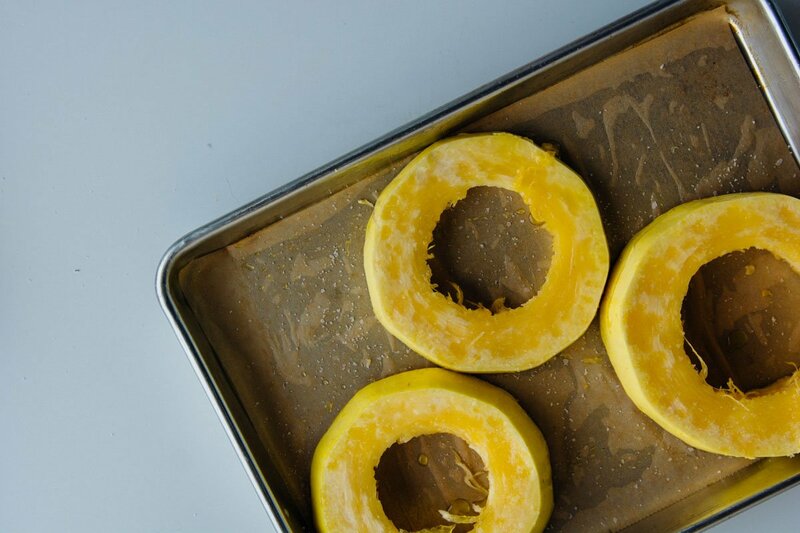 Carefully cut the squash into rings about 1½ inches wide and place onto the baking sheet. Take a spoon and scoop out the seeds and discard. 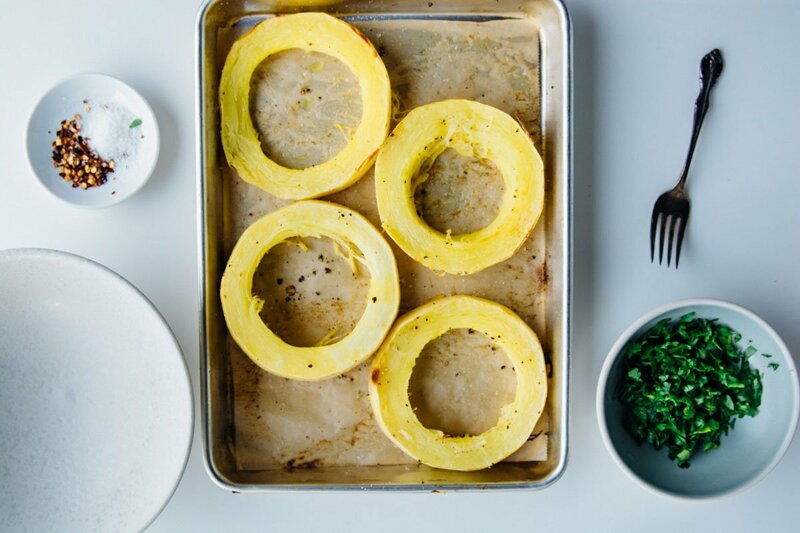 Rub both sides of the squash with the olive oil and season with salt and pepper. 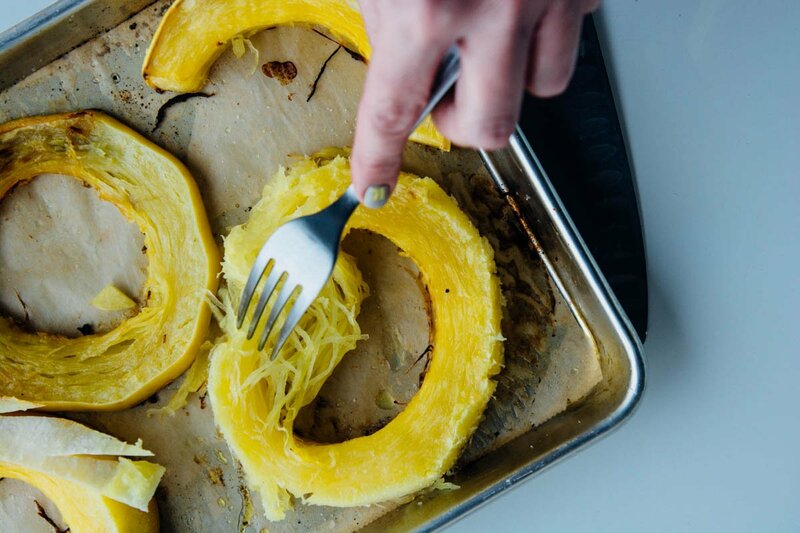 Roast for 25-30 minutes or until the squash is cooked and the strands separate easily when you pierce the squash with a fork. 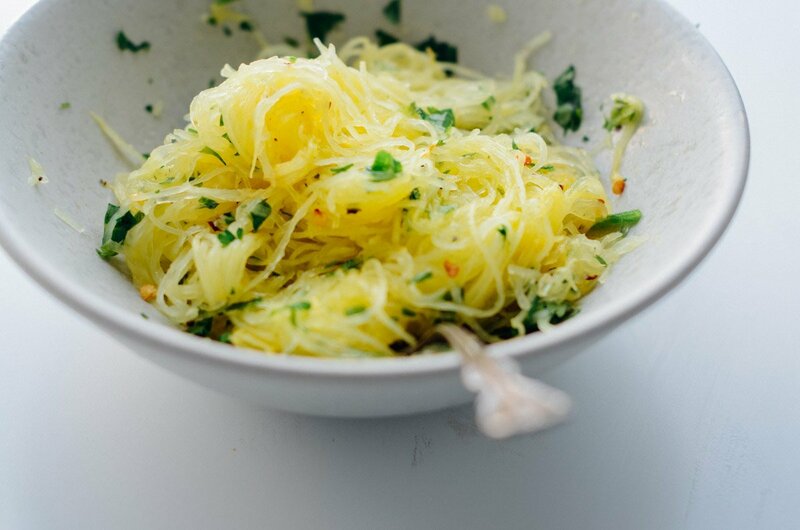 Let cool slightly, Use a fork to pull the squash into long strands of pasta. 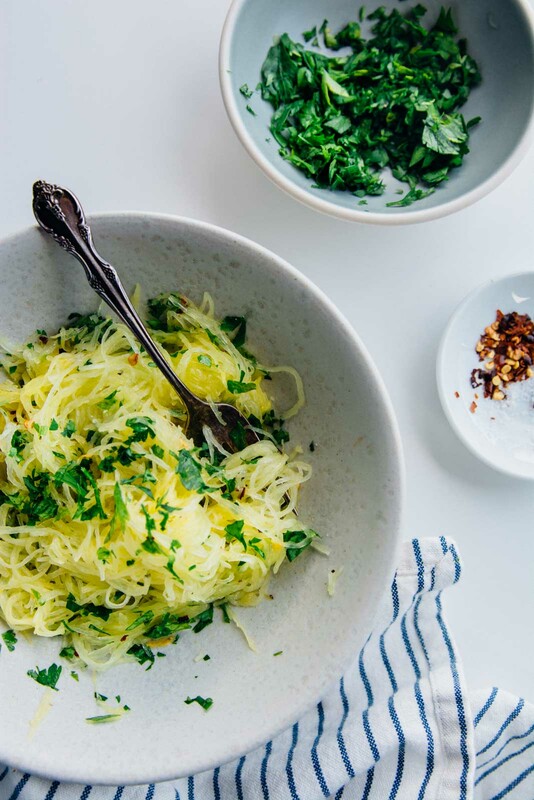 Drizzle the squash with the olive oil, sprinkle the red pepper flakes and parsley over the top, and toss lightly to combine. Taste and season with salt and pepper as desired.